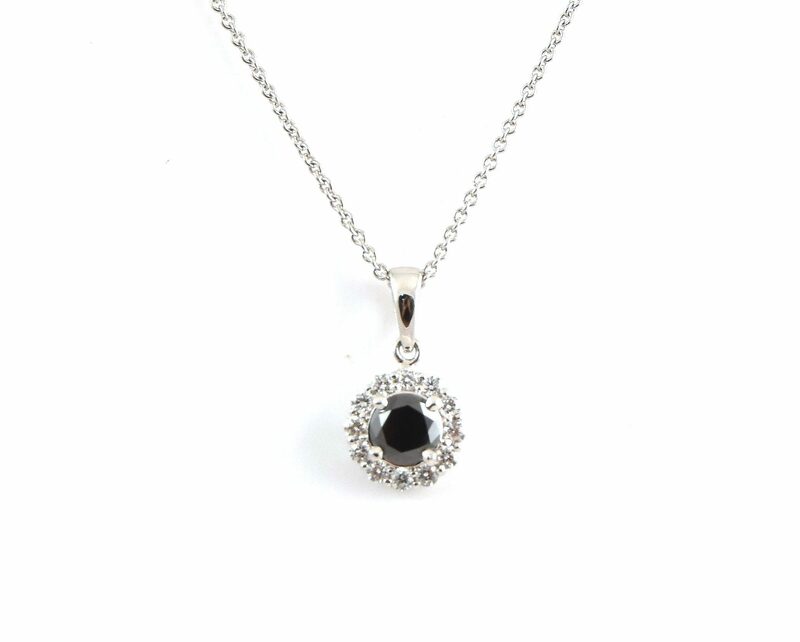 An 18K white gold black diamond halo pendant. Centrally claw set with a 0.55ct round brilliant cut black diamond which is surrounded by 12 round brilliant cut diamonds in a halo setting. 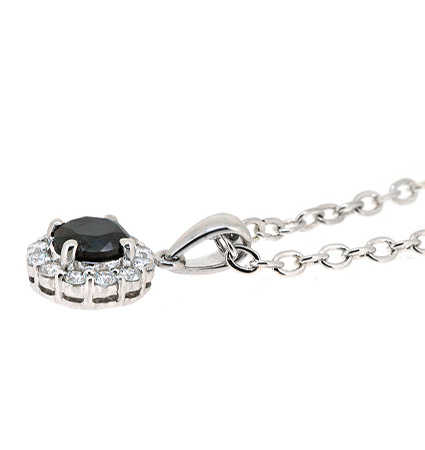 The pendant is fitted with an articulated bail.